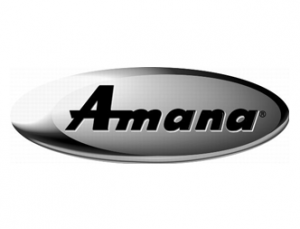 Amana focuses on three things: quality products, affordable prices, and intuitive design. They are one of the world’s leading manufacturers of home appliances, which include 20 billion dollars in sales in 2014, operating in over 170 countries. Amana’s goal is to maintain their relevancy and improve their technology in homes around the world, so family life can flourish. Amana’s growing company has 100,000 employees around the world, 23,000 in the U.S., 70 manufacturing centers, and products available in 130 countries. Amana home appliances can last many years. Even so, their appliances will still eventually break down, sometimes breaking down after the warranty expires. Consumers have complained about the warm water cycle on Amana washers failing due to motherboard problems and Amana refrigerators needing drain tubes replaced. No matter the quality of the products, things break down over time. Fast Appliance Repairs will fix Amana washers, ovens, stoves, fridges, dryers, dishwashers, and cooktops in both homes and commercial buildings.